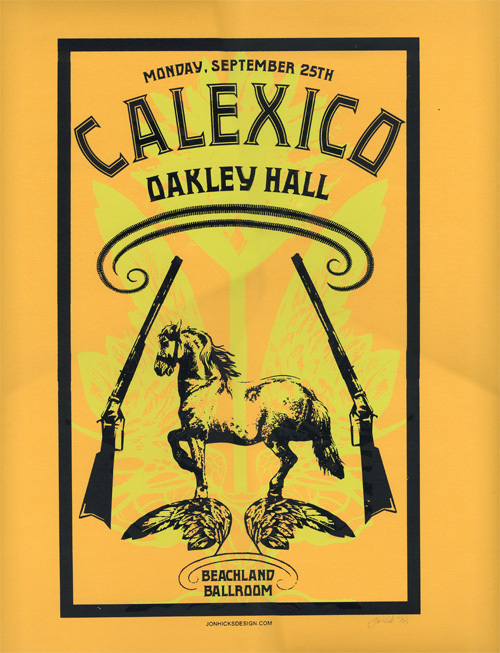 Get them while they last… several new Calexico posters have been added to the store. All posters are shipped in a sturdy mailing tube. 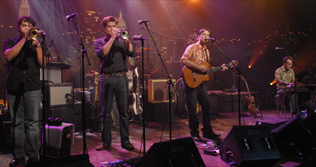 Calexico’s ‘Garden Ruin‘ has been nominated for ‘Americana Album Of The Year’ at PLUG Independent Music Awards – to be held on February 10, 2007 in New York. PLUG is a collection of music lovers – writers, DJs, webmasters, artists, filmmakers, managers, indie retailers, and most importantly fans – who gather together each year to celebrate the artists who live and flourish in the margins. 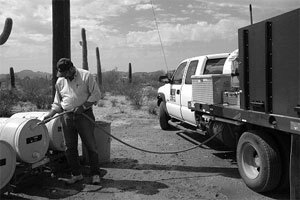 You are encouraged to visit PLUG Awards and vote for Calexico! The ballot box is open to every independent music fan with access to the Internet. The Fan vote will continue through January 2007. The 2007 calendars have arrived! Featuring traditional Mexican images, each calendar includes all 12 months of 2007 along with saints days and holidays. Special offer! Now ’till the end of 2006… buy 3 or more calendars from the store and get 1 free! 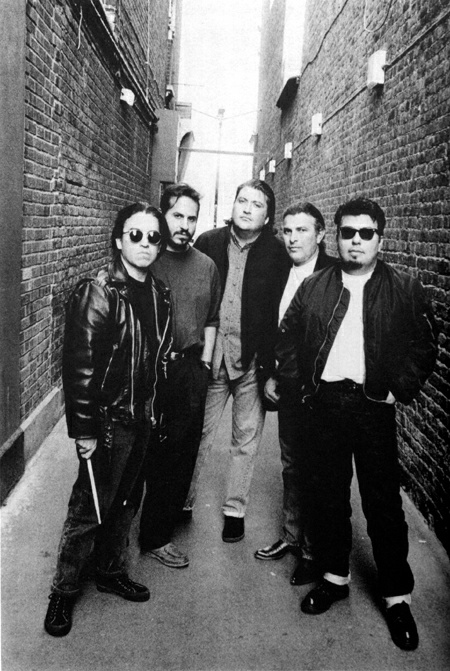 “An inspiration for many years, Los Lobos have more variety and depth than many American bands. Their musical tradition stretches across different styles of music and yet they still carve out their own voice. They can do anything, and pull it off with soul and style. I’ve seen them play acoustically, juggling instruments within songs, and I’ve seen them rock at festivals like Bonnarroo and Austin City Limits. 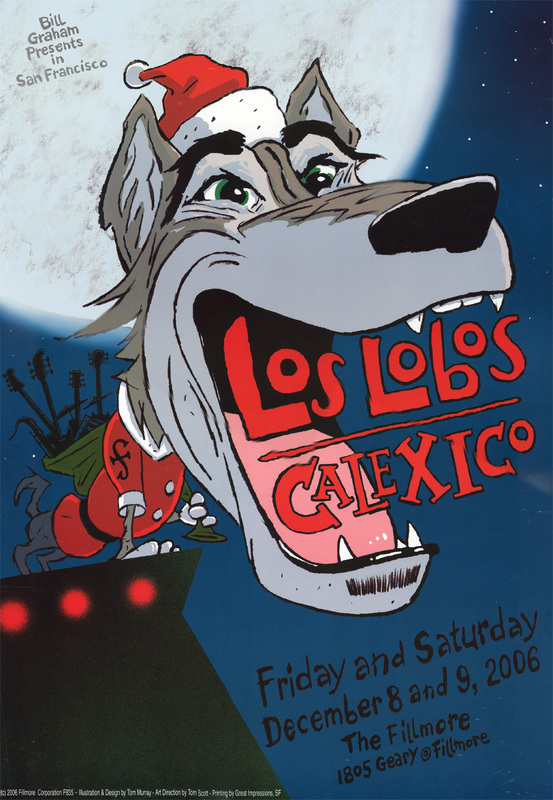 There’s nothing Los Lobos can’t do. Calexico‘s seven-date December tour broaches some of the most serious social issues facing citizens on either side of the US – Mexico border today. Accompanying them on these dates will be representatives from several organizations including Humane Borders and Music for America raising awareness about humanitarian issues stemming from border and immigration policies. So, the contest, you ask? What of the contest? Well, we’d like for you to help Calexico spread the news and bring people out to the shows by telling everyone you know about the events. The following is a list of things you can do to help. Every time you complete one of the opportunities from the list, youâ€™ll be entered to win two tickets to the Calexico show nearest you, a copy of World Drifts In (Live at the Barbican) DVD, and a vintage Calexico tour poster. In other words, the more you do, the more likely youâ€™ll be to win. If you don’t live in any of the cities covered by the tour, don’t worry! You can still enter the contest and participate in spreading the word. See below. 2) Repost this bulletin including a personal message to your friends. Then post a comment on our myspace page (myspace.com/tgqs) saying that youâ€™ve done so. 3) Post this message on your personal blog (non-myspace blogs) and send the direct link to contest@tgrec.com . New December Tour Dates Announced! After a busy year of touring the States and Europe, Calexico has announced several new tour dates in December to round out the year! 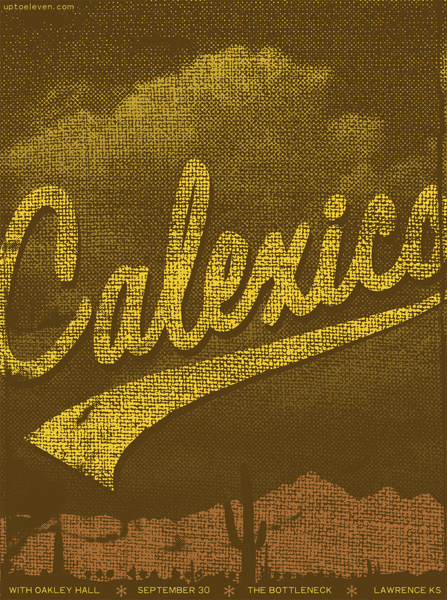 The Tucson show on December 2nd continues Calexico’s annual tradition of throwing a year-end hometown benefit concert. A portion of the proceeds will go to KXCI-FM, a local community sponsored radio station. Proceeds will also go to Humane Borders, who along with other organizations like No More Deaths and Border Angels, offers humanitarian assistance to those in need through more than 70 emergency water stations on and near the U.S.- Mexican border, ultimately trying to quell the hundreds of deaths every year in the Arizona desert due to dehydration. A representative from Humane Borders will be at all Calexico’s headlining Southwestern shows to answer questions or provide insight into their cause. Also, the tour as a whole will be presented in association with Music for America, an organization connecting concert-goers with social justice organizations and political issues they might not be aware of, both nationally and in their area. Special online pre-sale for the Southwest shows begins this Saturday at calexico.ducatking.com – Each ticket purchased here comes with a free MP3 download of an unreleased acoustic version of ‘Deep Down’. Headlining tickets go on sale to the general public October 14th, and tickets for the dates with Los Lobos are already on sale. This 4 song EP is an iTunes exclusive! Released on 9/12/06. Buy it!